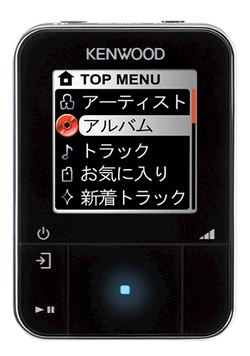 Kenwood is about to release the HD10GB7 portable digital audio player, which is supposedly the world's smallest 10GB hard drive-based player. These claims of "world's biggest/smallest/fastest" are always pretty dubious, but the provided specs do indicate that the DAP will be quite small indeed. Measuring 62x44x17mm (2.5x1.7x0.6 inches), the HD10GB7 is only slightly larger than the iPod shuffle. Battery life is expected to hover around 24 hours for MP3 playback while Kenwood promises better sound thanks to a proprietary technology of theirs. The player is outfitted with a clear digital amplifier, which makes the sound all silky and smooth and the 1.5-inch display takes up most of the front panel's real estate. It will be pricey, however, hitting Japanese stores for around $345. 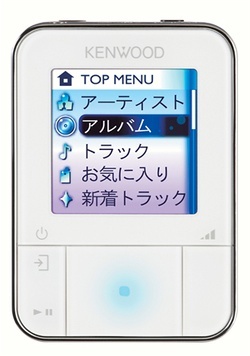 This Kenwood DAP is three times as expensive as the smaller iPod shuffle, but you do get 10 times the space. Hmm, decisions, decisions.